Lorenz Messtechnik GmbH is one of the leading manufacturers of torque and force transducers, load cells and custom-built test stands with an in-house DAkkS calibrating laboratory for torque transducers. 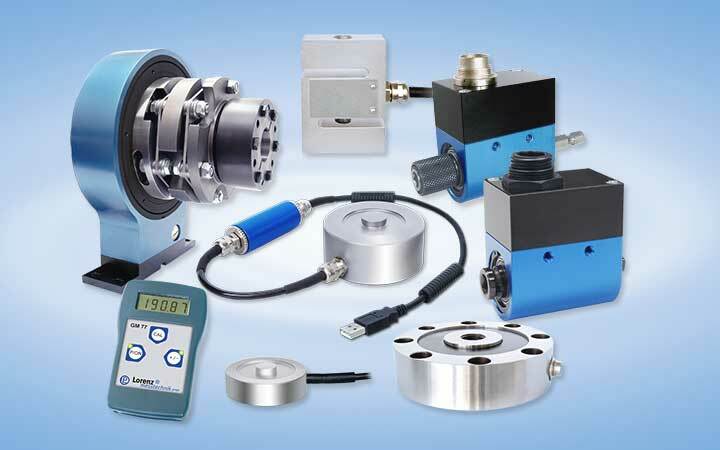 Lorenz Messtechnik GmbH produces since 1985 torque sensors in many different designs. Lorenz torque cells are appreciated by a continuous increasing number of customers not only because of its accuracy, but also because of its variety and its dependability. Rotary torque transducers with sliprings and rotating contactless torque transducers are produced, but even static torque sensors (reaction torque transducers) can be found in our range of products. A speed-/ angle- sensor , which is integrated in the torque dynamometer , is available for many rotating torque cells. Lorenz Messtechnik GmbH produces torque transducer with a final torque measurement range from 0.005 N·m up to 20000 N·m. 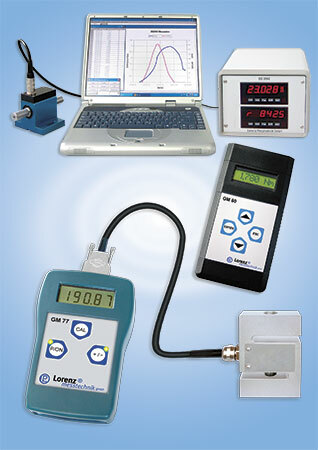 Since October 2003, torque meters can be calibrated from Lorenz Messtechnik GmbH in its own DAkkS Calibration Laboratory with a relative uncertainty of measurement of 1 x 10-4. Torsional pick ups of Lorenz Messtechnik GmbH gain in importance in more and more application ranges, e. g. quality assurance of the automobile industry, the monitoring of mounting processes and research and development. Lorenz Messtechnik GmbH developes sensors for the measurement of static and dynamic forces. The force sensor spectrum of Lorenz Messtechnik GmbH includes compression force sensors, tension force sensors, tension / compressive force, as well as force cells, which are produced according customers requirements. The force cells of Lorenz Messtechnik GmbH convince not only by their high linearity ( up to 0.05 % f. s.). The final measurement range of the force sensors , which measures from 1 N up to 5 MN ( depends on the force transducer), and the protection class up to IP 68 (depends on the force cell) are other advantages of our force sensors. Beside the standard temperature range, the option of an extended temperature range from -40ºC up to +150ºC is available. Our force cells find applications in more and more extensive areas in the field of industrial measurement. So nowadays e. g. material testing, the monitoring of assemblies, development and quality assurance are unimaginable without the use of force transducer. We offer a great choice of electronic evaluation devices, measuring amplifiers, data loggers and system solutions for the acquisition, execution and analysis of torque, speed, angle of rotation, tension and compression force as well as other electrical sizes.